A horse that had ‘steering problems’ is set to land local trainer Trevor Sutherland his first Waratah Cup next Saturday at Wagga. Lazyaxl may have finished last at his most recent start but Sutherland believes his six-year-old will turn his form upside next weekend. “It would be fair to say he had an ordinary attitude when we got him,” Sutherland disclosed. “Evidently he’d had a number of trainers before me and had a few tricks up his sleeve including steering problems. Lazyaxl was having his third run back from a spell when last of 16 behind Coolring in the Wagga Town Plate (1200m) on 3 May. “Forget he went around in that race. He was caught wide early and had to work hard to lead them and knocked up over the last couple of hundred metres. 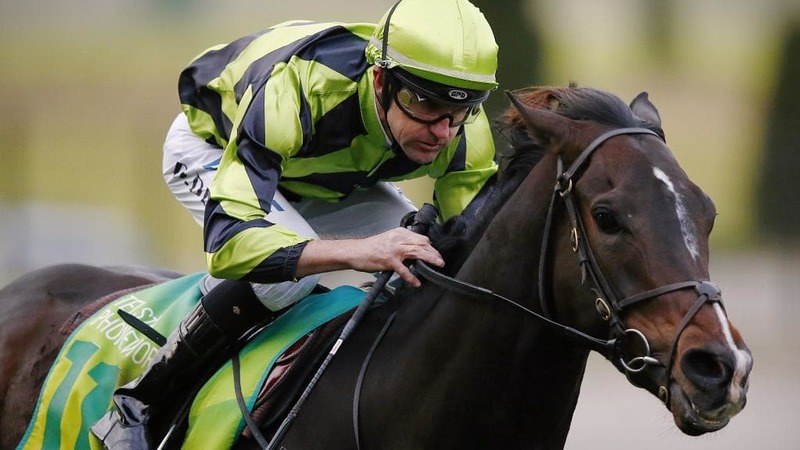 “He drops back massively in grade from a $150,000 race to the Waratah Cup and he’ll improve out of sight. Sutherland said he will start several runners at the meeting and pinpointed Flying Ferret, who will compete in the Class 3 Handicap over 1000m. “He has ability but his three runs back from a spell have been on dry tracks,” Sutherland said. “He should run well but he prefers it wet and unfortunately we haven’t been getting any rain. Murrumbidgee Turf Club’s CEO, Scott Sanbrook, said a huge crowd is anticipated: “This is the 30th anniversary of this charity raceday which raises funds for an organisation that assists those with disabilities. “Continued strong sponsorship support will ensure this milestone event will be a record and we’re expecting a profit upwards of $160,000. The crowd is expected to mirror last year’s attendance where more than 5000 people turned out. Another local trainer Chris Heywood won the Waratah Cup last year with Mitchell Road and he also said he will be entering a number of gallopers for the day. “I’d love to win the Waratah Cup again but there is a meeting at Albury the following Tuesday and Warwick Farm the day after, so I’ll just have to sort out where I’m taking them all but I’ll definitely have horses running at Wagga,” Heywood said.